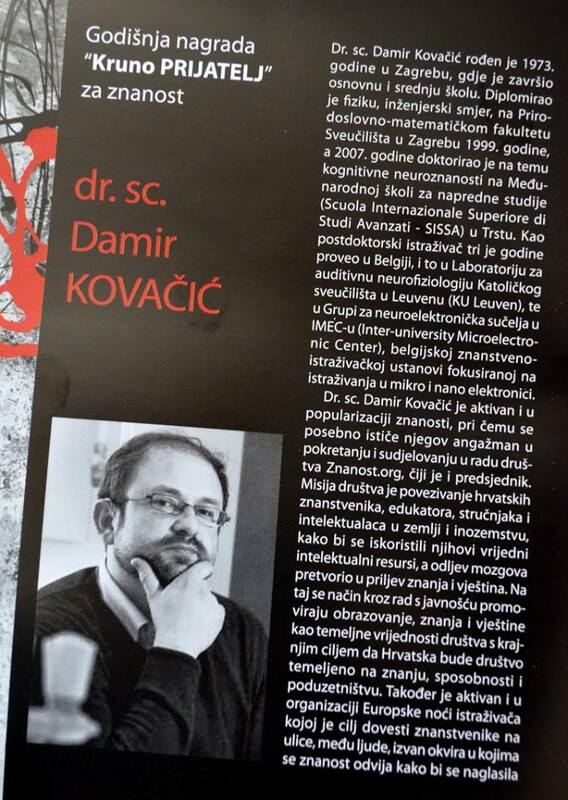 17. 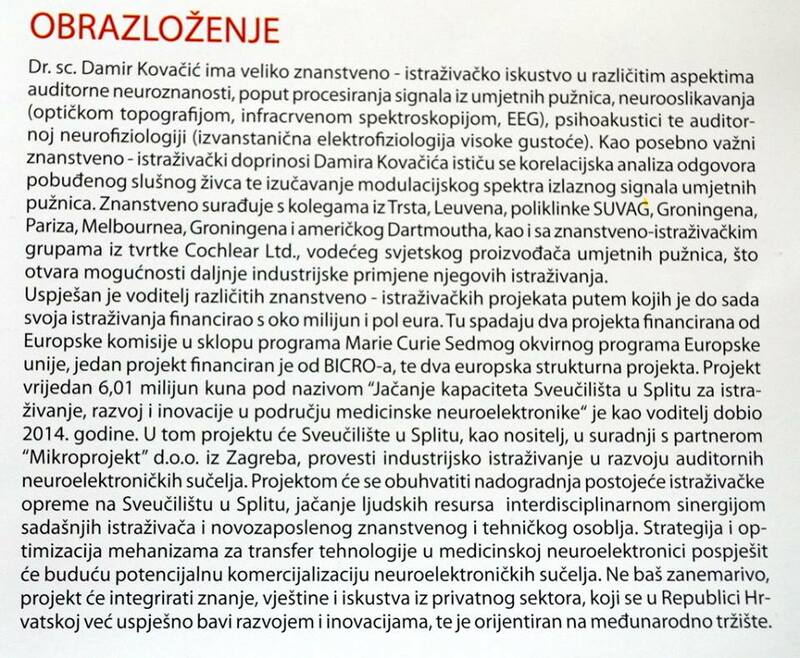 June in Split, Croatia Doc.dr.sc. 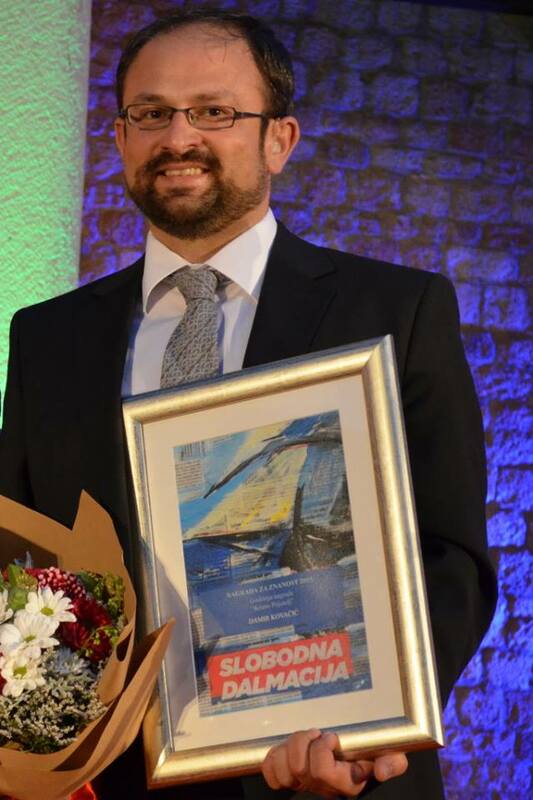 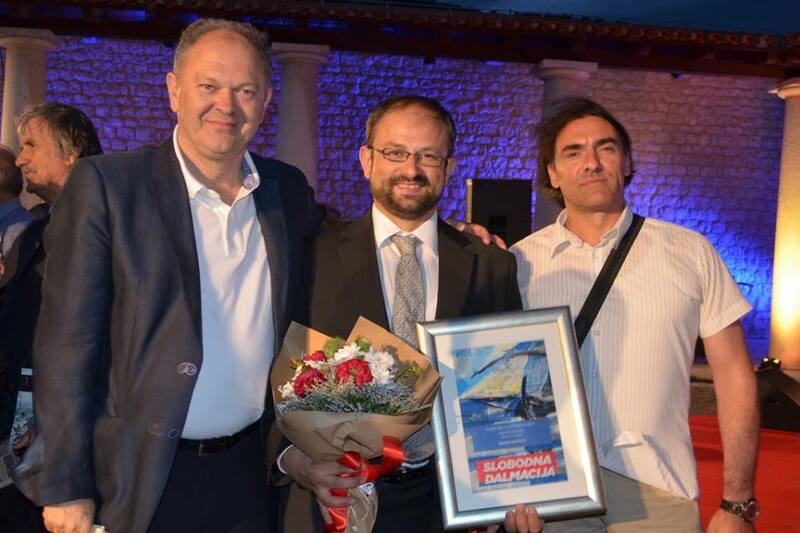 Damir Kovačić received Yearly award for science – “Kruno Prijatelj” given by Slobodna Dalmacija. 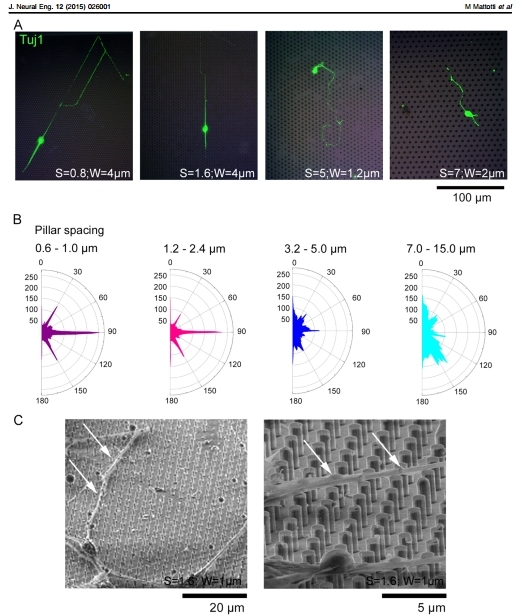 Award was given for research results on characterization of spiral ganglion neurons cultured on silicon micro-pillar substrates for new auditory neuro-electronic interfaces published on Journal of Neural Engineering in January 20105 (link).